I’m so excited to share the cover and title of the next book in the Miss Peregrine series, A MAP OF DAYS, which comes out October 2nd, 2018. 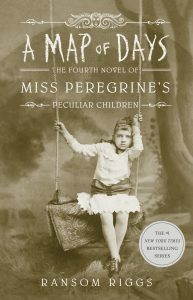 It’ll be the first in a new trilogy of Miss Peregrine books, and it picks up right where the first one ended. You can read more in an interview about it with me in USA Today, and pre-order the book here.